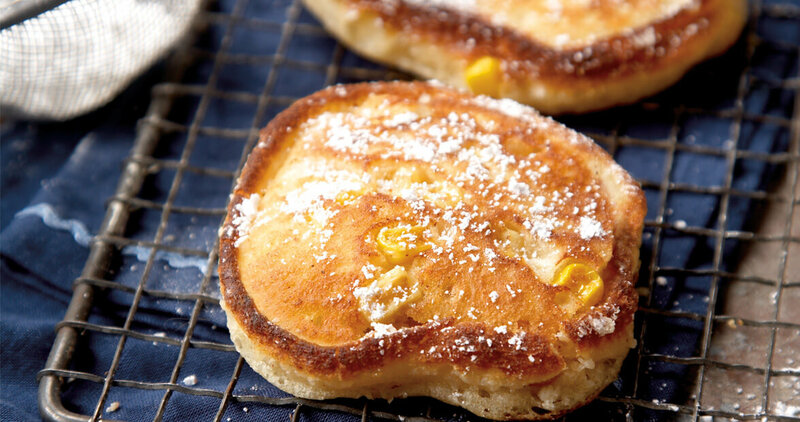 These crispy fritters are best served warm with a healthy dusting of powdered sugar on top. Combine flour, granulated sugar, baking powder, and salt in a medium mixing bowl. Add milk, egg, butter, and corn; stir until just moistened. Drop batter by tablespoons, about 4 at a time, into hot oil or shortening. Cook 4 to 5 minutes, or until golden brown, turning only once. Drain on paper towels. Tip: Keep fritters warm by placing them on a baking sheet in an oven heated to 300˚ while frying remaining batter. Serve warm, dusted with powdered sugar. Makes 12.